Homeowners take pride in the common areas in their homes such as their living rooms and kitchens – as this is where everyone from family to guests come to gather and be entertained. Ensuring your common areas leave a positive lasting impression can be a difficult task – especially if you’re unsure where to start. One way to ensure design success is by opting for quality products and materials that simultaneously offer durability and style. Mullion is one example of a high quality material typically used in the manufacturing of cabinet doors due to its classic visual appeal and ability to stand the test of time. Today we’ll go through why you should consider opting for mullion cabinet doors to heighten the visual appeal of your kitchen domain. Most of us have boxes in storage of sentimental and precious family heirlooms passed down through generations simply because we lack the aesthetically appealing place to display them. Luckily, installing mullion cabinets may be the perfect answer to this dilemma. Mullion cabinet doors are typically composed of solid wood with glass panes that enable viewers to see what is inside. Mullion cabinets truly offer that effortless classic design perfect for displaying sentimental family heirlooms, china, and glassware. Mullion doors come in an array of different designs – perfect for complimenting the aesthetic and style of your kitchen space. At TDM, we offer anywhere from 1-8 lites in addition to offering special lites that are custom made for your needs and distinct style. You’ll never have to sacrifice quality for design or vice versa. At TDM – we have you covered. We are also capable of installing fluted columns, wine racks, among other accessories to add additional visual intrigue to your kitchen domain. Mullion is the way to go! 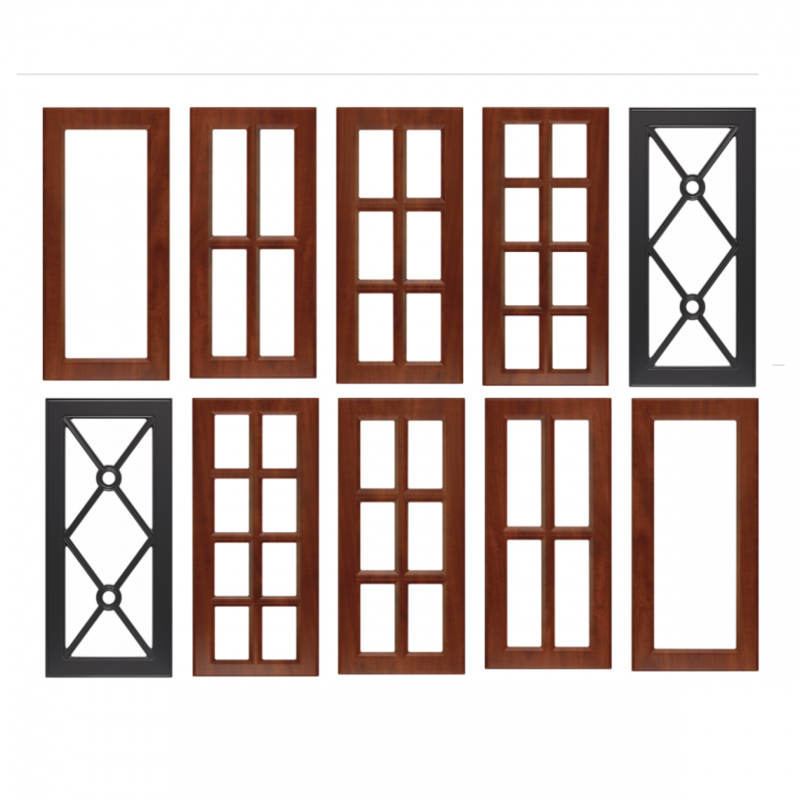 Installing mullion doors offer visual appeal and durability in addition to serving functionality as storage for your china, glassware, heirlooms, and antiques. Invest in your home and signify a timeless aesthetic by installing mullion cabinet doors. Great utility to mullion cabinet doors! Really timeless when installed in a kitchen!